UPDATED OCTOBER 11th 2011: Miranda Kerr was photographed by Simon Lekias and styled by Jilian Davison. Miranda Kerr looking dazzling in Mary Katrantzou Fall Winter 2011 printed lamp skirt for the November cover of her hometown Harper’s Bazaar. Click here to view last year cover featuring Australia’s Next Top Model Cycle 6 winner, Amanda Ware and here for 2009 cover featuring former Miss Universe from Australia, Jennifer Hawkins. 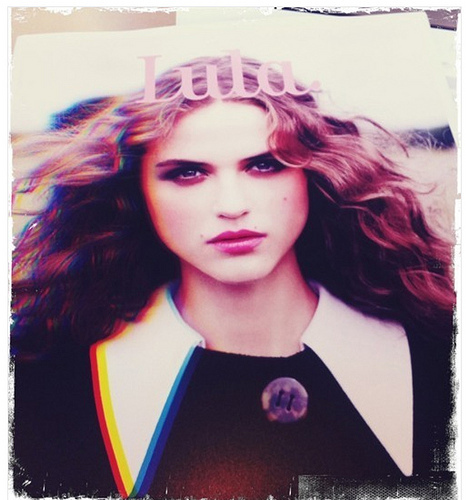 Suprisingly we found her show cards in IMG Paris’s Spring Summer 2012 show package. We are wondering for which designer will this Victoria Secret’s Angel make appearance(s)? Even though she’s already walked for the last two shows, but she was a nowhere to be found in yesterday’s Balenciaga fashion show. Another major brand perhaps? Louis Vuitton? Lanvin? 22 year old Lithuanian top model Edita Vilkeviciute was photographed by Emma Summerton and styled by Mary Fellowes in Louis Vuitton Fall Winter 2011 Peter Pan collared top with pailettes skirt for the October cover image of Vogue Turkey. The hair and make up was done by Peter Gray and Mathias van Hooff respectively. Click here to view last year 4 covers featuring Hilary Rhoda and Julia Stegner. Below are her latest show cards for Spring Summer 2012 Fashion Week. She is represented by DNA Models in New York and Viva Model Management in London and Paris. Russian top model Valentina Zelyaeva was photographed by Bob Wolfenson for the October cover of Elle Brazil. 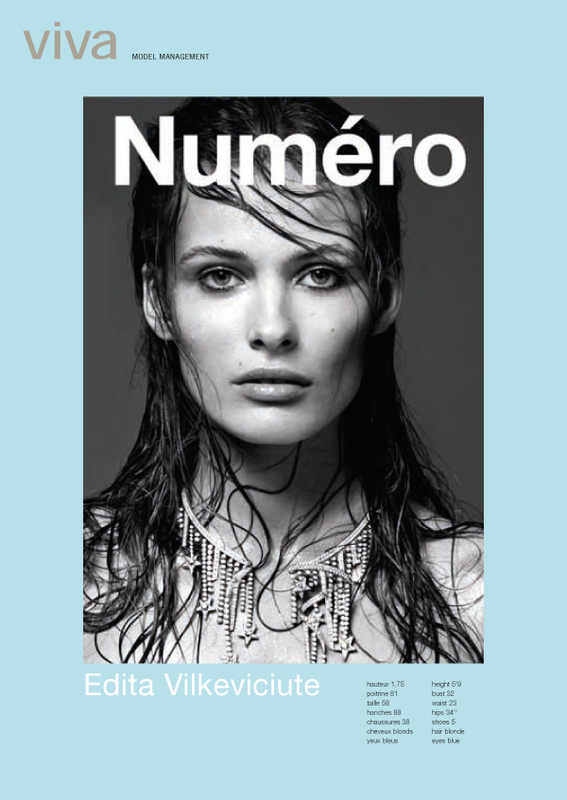 Click here to view last year cover featuring Aline Weber. 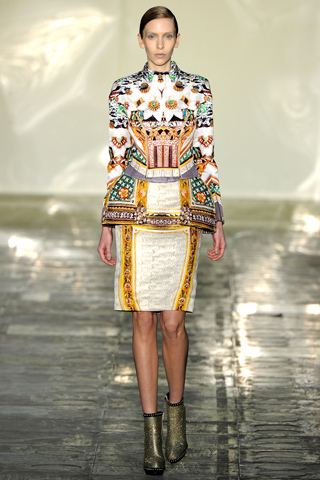 Below are her latest show cards for Milan Fashion Week Spring Summer 2012 that was just finished last week. She is represented by Women Management Milan. British top model and actress Lily Cole is back on magazine cover and photographed by Koray Birand for the October cover of Harper’s Bazaar Turkey. 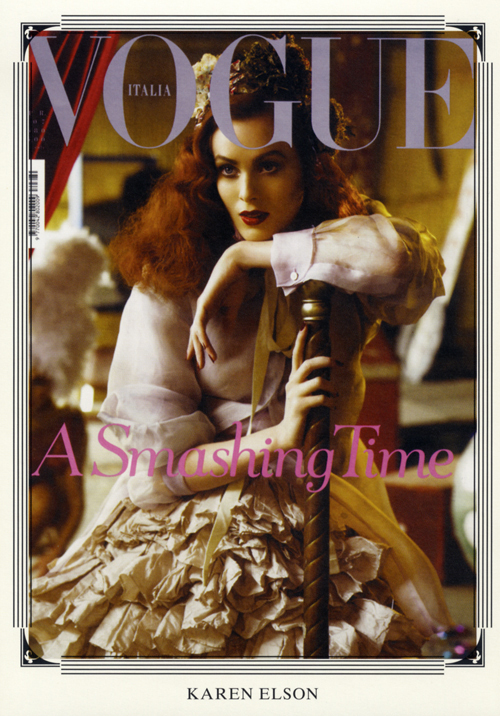 Red haired supermodel slash singer Karen Elson photographed by Vogue Italia regular photographer, Steven Meisel for the October cover of the magazine styled by Karl Templer. The hair and make up was done by yet another regular team of VI, Guido Palau and Pat McGrath respectively. The set designer was Mary Howard. Due to the departing of the Director of Women Management New York, Louie Chaban recently, some of the top names has been missing from the site‘s such as Aggyness Deym, Christina Kruse and Karen Elson. 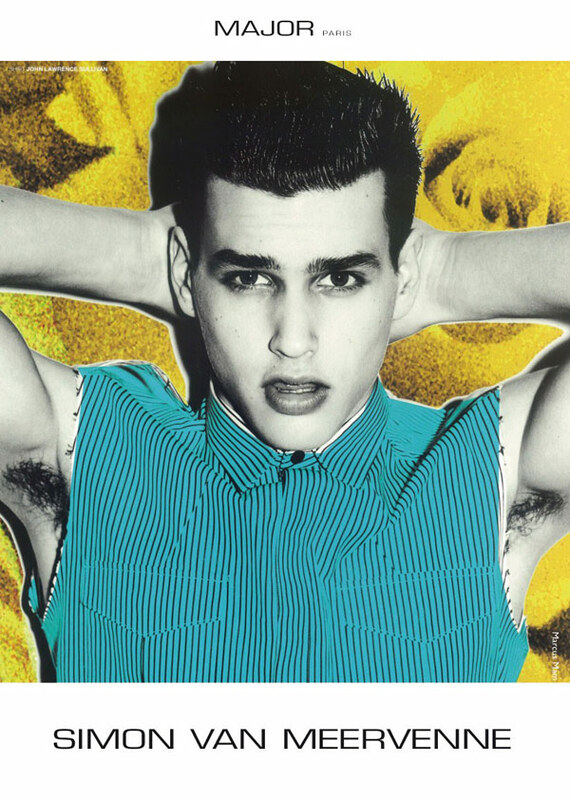 Louie Chaban is moved to Elite Model Management, such a wonderful news for Elite’s team and a bad news for Women‘s. Click here to view last year cover featuring Mariacarla Boscono and here for 2009 cover featuring Rianne Ten Haken and Karlie Kloss. 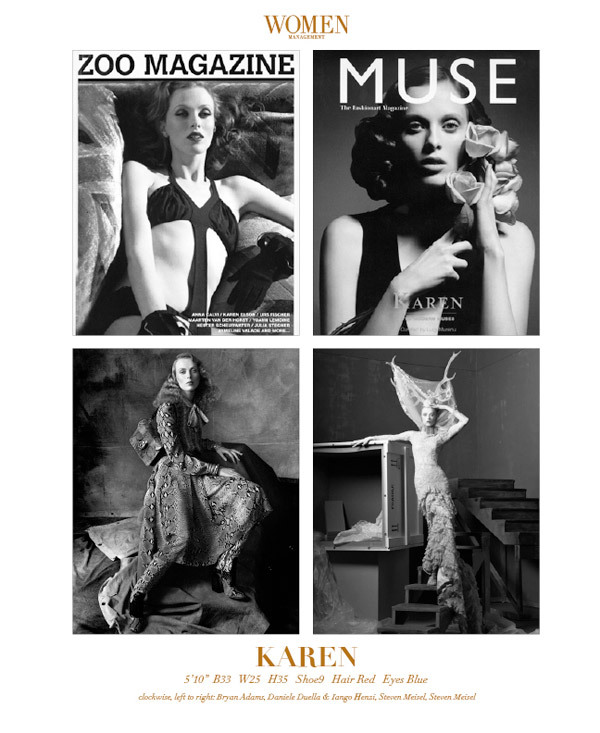 Below are Karen Elson‘s latest show cards for Spring Summer 2012 Fashion Week. She is (and was) represented by Women Management New York, Tess Management London, Elite Milan and Viva Model Management Paris. 23 year old Victoria’s Secret Angel and the current face of Tom Ford, Candice Swanepoel is gracing the October cover of Vogue Brazil photographed by JR Duran. Click here to view last year cover featuring Caroline Ribeiro and here for 2009 cover featuring Raquel Zimmermann. Below are the South African model latest show cards for the now running Paris Fashion Week Spring Summer 2012 which she skipped Milan, London and New York. She is represented by IMG Paris. 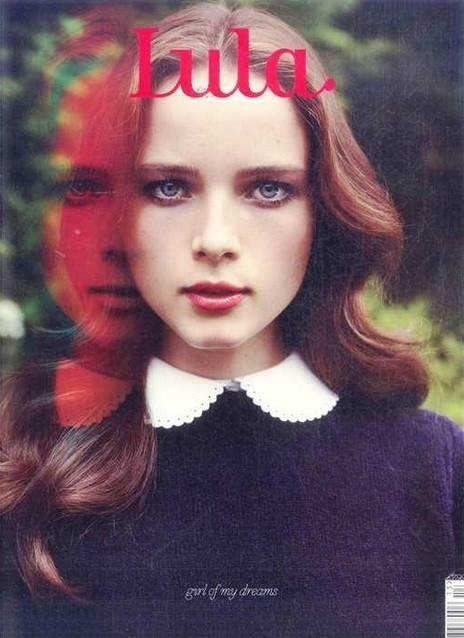 Two of former Prada campaign girls, Anna de Rijk (Fall Winter 2009) and Rasa Zukauskaite (Spring Summer 2010) are the latest cover girls for bi-annual fashion publication, Lula. 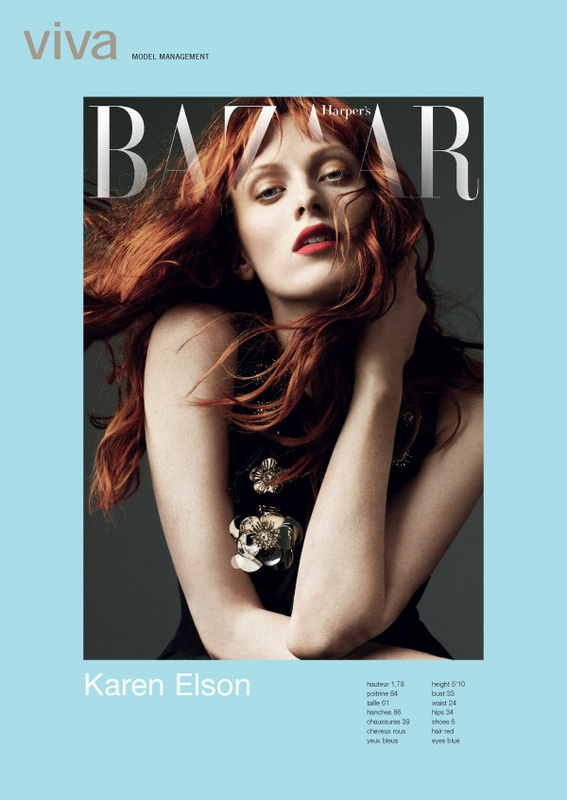 Click here to view last year cover featuring Charlotte Gainsbourg and here for 2009 cover featuring Karen Elson. 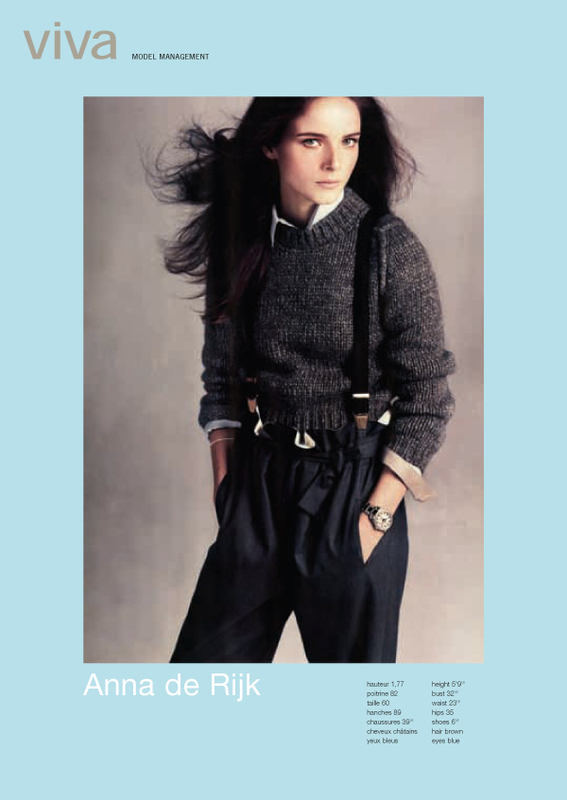 Below are Anna de Rijk‘s latest show cards for Spring Summer 2012 Fashion Week. 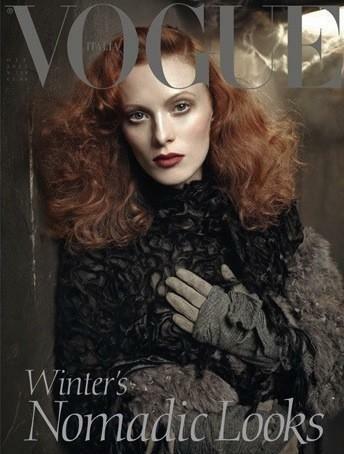 She is represented by Viva Model Management in London and DNA Models in New York. 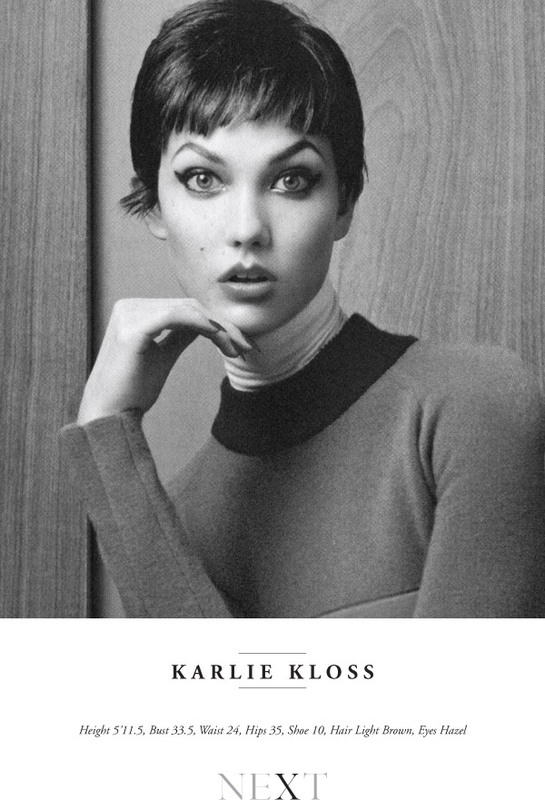 19 year old American model who recently sparked controversy due to her Mario Testino‘s nearly naked editorial in Allure October issue, Karlie Kloss was photographed by Beau Grealy for the September cover image of The Sunday Times Style. 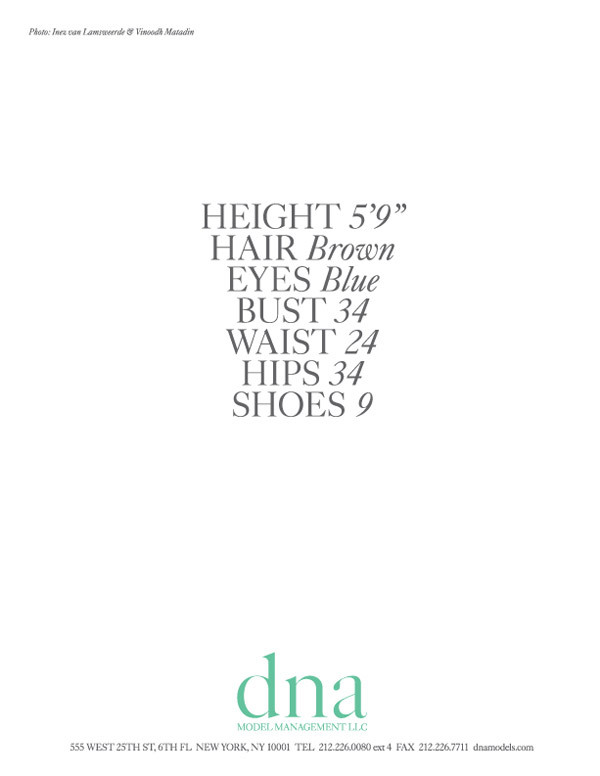 Below are her latest show cards for Spring Summer 2012 Fashion Week. 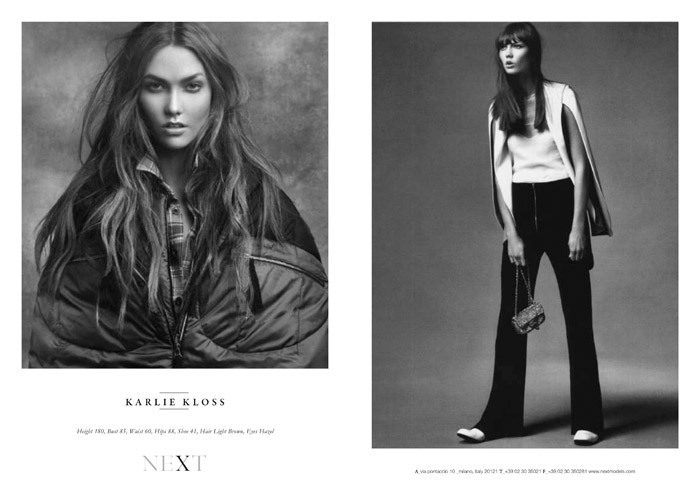 She is represented by Next Model Management in New York, London, Milan and Paris. 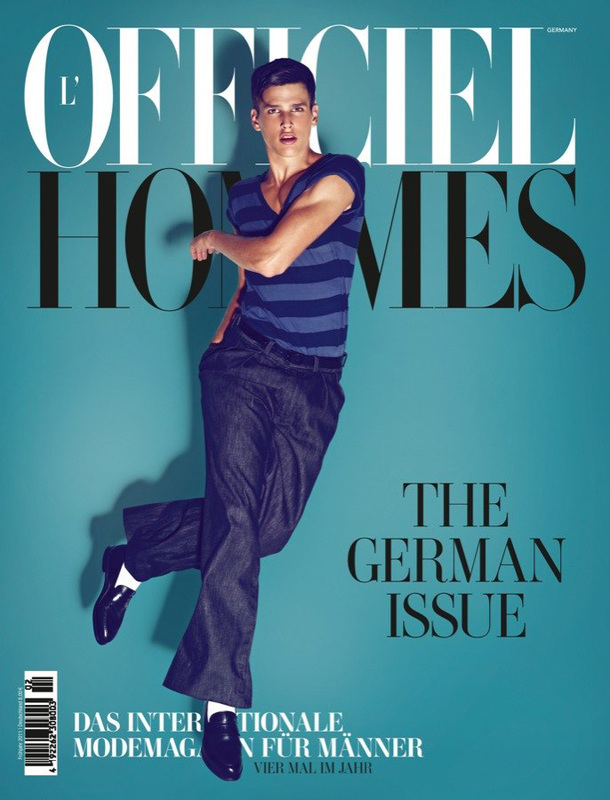 Former cover boy of Commons & Sense magazine, Simon Van Meervenne was photographed by Koray Birand and styled by Lale Aktay for the blue-ish cover of L’Officiel Hommes Germany. 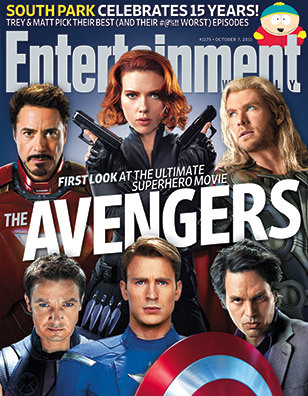 That slick hair was done by Deycke Heidorn as well as the make up. 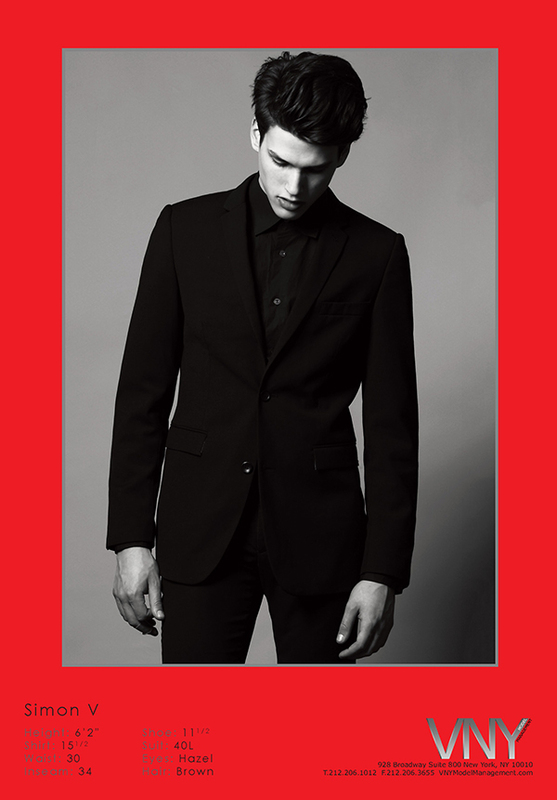 Below are the Belgium born latest show cards for the Menswear Spring Summer 2012 Fashion Week. He is represented by Major in Paris and VNY in New York.